(91outcomes.com - May 1, 2017) -- A newly published study has found lipid changes and chronic inflammation in a first-ever published study linking data from animal models of Gulf War toxic exposures and Gulf War veterans suffering from Gulf War Illness. The study, funded by the Congressionally-directed Gulf War Illness Research Program (GWIRP) within the Department of Defense health program, for the first time links data from Gulf War veterans participating in two different Gulf War Illness clinical research studies -- at Boston University and Nova Southeastern University near Miami -- with data from two distinct animal models of Gulf War Illness. The animal models of Gulf War exposures were conducted at the Roskamp Institute in Sarasota, Fla. and Texas A&M University. In the GWIRP-funded studies, laboratory animals were exposed to Gulf War toxins including organophosphate pesticides and pyridostigmine bromide (contained in Gulf War nerve agent protective pills). 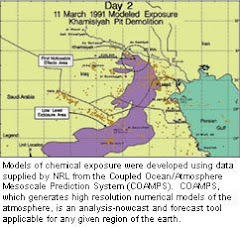 As many as 140,000 U.S. troops were exposed to low-level sarin, another organophosphate and chemical warfare nerve agent, following demolitions of sarin-filled Iraqi munitions at an Iraqi bunker complex near Khamisiyah, Iraq in early March 1991, shortly after the Desert Storm ceasefire. The newly published findings suggest a little before explored area of concern in Gulf War Illness -- changes in lysophospholipids, small molecules important in cellular signaling. According to a 2008 study of the biological effects of lysophospholipids, "specific lysophospholipid receptors are required for proper cardiovascular, immune, respiratory, and reproductive system development and function. Lysophospholipid receptors may also have specific roles in cancer and other diseases." (2008, Rivera & Chun). The findings also added further evidence to a growing body of scientific studies suggesting chronic inflammation as an underlying component in Gulf War Illness. While science is a step-by-step process, this new link between animal and human data is groundbreaking, including linking two different animal models of Gulf War Illness with the ill Gulf War veterans. Most significantly the discovery that lysophospholipids appear to be dysregulated in both humans and animals with Gulf War toxic exposures has broad implications for biomarker and treatment development for Gulf War Illness patients. While new treatments for Gulf War Illness based on this discovery may very well still be years away, it appears that science is edging closer to actually developing them -- progress that would not be possible without the clear Congressional treatment development guidance and continued financial support of this unique federal treatment development program. SOURCE: PubMed (PLoS One), April 28, 2017, Tanja Emmerich, Fiona Crawford, et al. PLoS One. 2017 Apr 28;12(4):e0176634. doi: 10.1371/journal.pone.0176634. eCollection 2017. Phospholipid profiling of plasma from GW veterans and rodent models to identify potential biomarkers of Gulf War Illness. Emmerich T1,2,3, Zakirova Z1, Klimas N4, Sullivan K5, Shetty AK6,7, Evans JE1,3, Ait-Ghezala G1,2,3, Laco GS1, Hattiangady B6,7, Shetty GA6,7, Mullan M1, Crynen G1,2, Abdullah L1,2,3, Crawford F1,2,3. I contracted a Fibromyalgic illness after a 1988 Gulf deployment (Navy). I was consistently treated for 15 months at a Naval hospital before my discharge 12 Dec 1990. My personal research led me to believe the cause was Small Carbon Poisoning. After 27 years of little relief, it ripped through my chest muscles, lungs, esophagus and heart, and I landed in a Philippine ER where I live. The Neurologist diagnosed me with a Micro Bacterial Connective Tissue Infection, and 3 Specialists did multiple heavy antibiotic drips over 13 days. My symptoms were knocked back 20 years and I had a voracious appetite, one of the Specialist was a GI. Today I'm on Pregabalin, and Keltican for small nerve and muscle repair. After long talks with my Primary care Neurologist, we concluded that small carbon poisoning leaves the body open go contracting these infections. There's 8-9 strains in the Middle East, SE Asia has there's, as well as the US. Lyme's disease is one of these micro bacterial connective tissue infections. I think you just explained "how" Small Carbon Poisoning opens the door to getting these infections. I'm one of the few remaining Gulf vets, who came out of the Gulf region with a Fibromyalgic illness in the mid-late 80's. I had all the correct symptoms of onset, and illness before it was ever disclosed (statistically near impossible). After 15 years to establish my benefits, the last 10 as a homeless vet, and 3 reprimands issued to the VAMC/DVA, I moved to the Philippine mountains, where I live today. After 27 years without relief from the pain, fatigue, sweats, memory loss, thought processing problem, Irritable Bowel Syndrome; I finally collapsed in a Philippine ER. They gave me a Ketorolac injection, within 40 minutes all my chronic pain disappeared. They further scrubbed my VAMC meds as 'reckless and dangerous' (Gabapentin and Tramadol), and started me on Pregabalin and Keltican. I ended up back in an ER months later during an acute episode; the neurologist admitted me saying; "let's kill off as much of this as we can"! I spent 13 days on heavy, multiple antibiotic drips, under a neurologist, a GI specialist, and a Pulmonary specialist. By the end, my symptoms were knocked back 20 years. Not only have I not had an acute episode in a year, and my GI function is normal (appetite), my constant sweating has stopped, my paper thin skin and rolling veins have been corrected, and I do not need opioid pain medication. Diagnosis, Fibromyalgia; a micro bacterial connective tissue infection. Due to the extreme length of time I had it, it had already encapsulated itself into the surface of many muscle groups, so I still have extreme fatigue, and I'm still bedridden. They have several strains of connective tissue micro bacterial infections here, and there's some 8-9 in the middle east. Even Lyme's disease is one of these infections, though I believe there's others in the US that lead to fibro/fatigue disease processes. There's also a link to small carbon poisoning that sets one up to become more vulnerable to these infections. 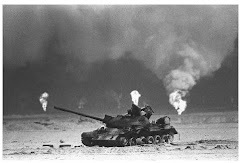 A recent Gulf War study examined Lipids in GWI, I believe this is what the Small Carbon Poisoning effects, to make military more susceptible to this infection. Here in the Philippines, mostly woman get these infections. The woman are home when villages are over sprayed with pesticides for Banana groves, and they mainly handle the Kerosene and other household petroleum derivatives. I've over 90% of my muscle groups compromised, last year it ripped through my lungs, esophagus and heart. I'm currently being treated for a swollen heart, and travel is restricted. There's chronic pain and there's acute episodes. Chronic pain is the bacteria spread through the connective tissue, first saturating under the skin giving that 'all over' flu type feeling. Acute episodes happen when the bacteria leaches potassium, sodium and other electrolytes from muscle surfaces, marked by profuse sweating. When you stretch the muscle group, millions of micro tears form, damaging small nerves and allowing the bacteria to encapsulate into the muscle surface. After that, as you use the muscles, the bacteria irritates the muscle causing chronic hotspots of pain, and mild tissue swelling. Once a muscle group is compromised, even heavy antibiotics cannot kill it off. God Bless, and good luck, I only hope this helps. These connective tissue infections rarely show in blood tests, its just not where they live.